Crime remains one of Oakland’s most serious issues , which begs the question if police are doing their job? Through interviews with a few Oakland residents, that have lived most of their lives in the Bay Area, it was discovered their opinion on police service. In an interview with an Oakland parent who has lived in Oakland for 5 years she was asked the question,” Do you think police service is a problem in Oakland?” Her response was, “ Yes, in certain occasions because they use a lot of racial disparities which they need more training and teamwork [about]” (Rodriguez). This resident claims that Oakland’s police needs more training on how they police the city. Therefore, to address how Oakland’s police are not effective enough to keep communities safe there should be better training. Oakland’s insecurity and lack of trust between people may be due to understaffed police forces and racial disparities among its citizens. According to the article (Stanford big data study finds racial disparities in Oakland…) by Clinton B. Parker, it states “ African American men were four times more likely to be searched than whites during a traffic stop.” (Parker) This shows that there are some police officers that racially depict people based on their color of their skin. This means that people of color are the most affected among ethnicities. According to the article (Oakland police, stopping and handcuffing …) by Tom Jackman, it says “ In pedestrian stops, 74 percent were black, nine percent white. Blacks were searched in one out of five stops, whites in one out of 20, the data showed.” (Jackman) This shows that community relations with police are negative in some areas due to disproportionate treatment by race. This means police interactions can bring insecurity and fear for some instead of safety. One can argue that police officers act the way they do by instinct since there lives are at stake all the time. While it is true that some police officers treat different ethnic groups the same, they are not doing enough effectively to overcome this bias problem. Using better data, providing education and conducting training workshops, can help them better understand how to change their cultures on policing. 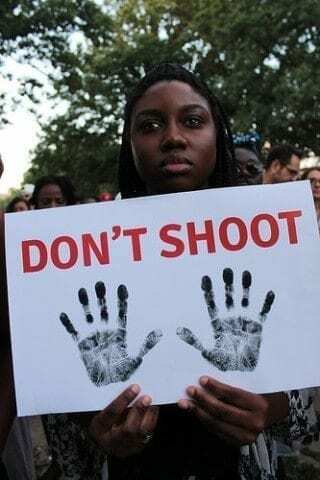 This can prevent police officers who abused their power of oppressing others of different races or low income backgrounds, to show trust and a feeling of safety to the residents by training them in social tactics among other things. In another interview with a resident who has lived in Oakland for 4 years, was asked, “How do you feel of Oakland’s environment ?” Jose respond ,“ That is very ugly because there’s a lot of insecurity and few cops…we need to put more of our part and help make it more clean and better”. (Gonzales) This shows that some Oakland residents don’t feel safe living in Oakland due to the violence in some areas. This can be due to understaffed police force or implicit bias in how officers approach citizens which requires training to help them police better. Training can help bring better interactions between the residents and feel more secure of themselves. In conclusion, Oakland’s police fight against crime isn’t very effective since some police officers are bias or have racial preferences against its citizens. This causes interactions between officers and residents to be negative in some areas. To solve this problem, Oakland’s police can be trained to learn how they to police better as well as educating the public and use better data to inform themselves. This can help improve their social tactics when policing and bring more security to Oakland. Oakland’s Security by Rafael is licensed under a Creative Commons Attribution-ShareAlike 4.0 International License. I think your topic is a very important one. Insecurity and racial discrimination within the police force has been a heavy topic these last few years, and we need more people with your ability to communicate the struggles of the voiceless. Your statistics bring a much clearer view to how big of a problem this actually is. Although I do not live far from Oakland, I did not know that security and discrimination were such big issues there still. Hi Chelsea, thank you for your comment. I agree that there are some good and bad things about Oakland but it depends on where you live mostly. I personally like the weather but the environment in some areas are not so great, so it depends. Thanks again for your comment! I am excited about your post because There needs to be a input on the security in oakland. One thing you said that stands out for me is: “Oakland’s police are not effective enough to keep communities safe there should be better training.” I think this is sad because everyone should feel safe in their neighborhood. Your post reminds me of something that happened to me. One time a security guard failed to break up a friends fight.Thanks for your project. I look forward to seeing what you write next, because there needs to be someone to speak up.